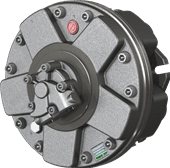 Standard fixed displacement motors are available in seven GM Series (GM05 to GM6) which range from 40 cc – 3000 cc/rev, plus the L7 and L9 Series, which are available from 2000 cc to 12000 cc/rev. 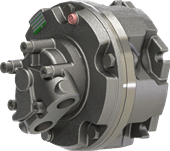 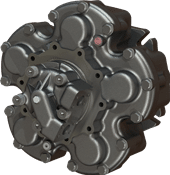 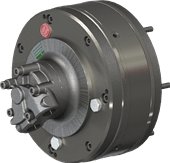 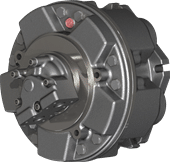 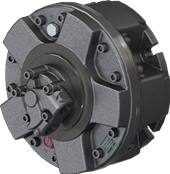 High Speed versions of these motors are also available, coded GS and S. A new development is seven cylinder TF Series offering high power capability in three motor series ranging from 250 cc to 1220 cc/rev. 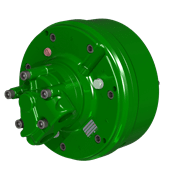 SAI GM Series Motors have five cylinders and a continuous pressure rating of 250 bar. 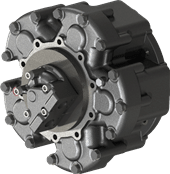 Peak pressures range from 280 to 450 bar depending on displacement within the particular series. 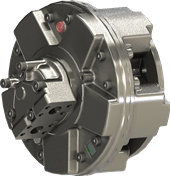 SAI TF Series Motors have seven cylinders and have a continuous pressure rating of 350 bar. 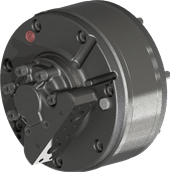 Peak pressures range from 400 to 450 bar depending on displacement within the particular series. 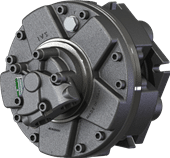 The TF offers very high power to displacement ratios.